I am in Indiana on vacation and it is a HOT afternoon here in the Midwest. A Bay County Jail officer is in the Midland County Jail today after he and his wife were charged with six felonies in connection with the embezzlement of nearly $1 million from an area dentist. Midland County District Judge Stephen Carras Tuesday afternoon arraigned Kenneth J. Cieslinski on two counts of embezzlement by an agent or trust between $1,000 and $20,000, a five-year felony, and Stephanie K. Cieslinski on two counts each of embezzlement of $100,000 or more and embezzlement of between $50,000 and $100,000. The charge of pilfering $100,000 is punishable by up to 20 years in prison. 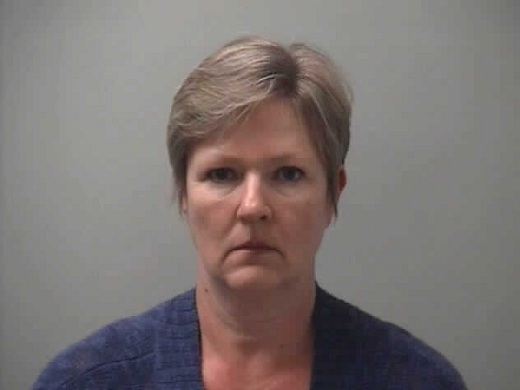 According to Midland County Prosecutor Michael D. Carpenter, Stephanie Cieslinski stole nearly $1 million over a decade from Dr. Michael Smith, a Midland dentist who employed her for a decade. A federal investigation had been ongoing for about a year and a half before charges were filed. A new $1 million, three-year grant from First 5 LA will enable the Ostrow School of Dentistry of USC to provide underprivileged children with oral health care and help them see a dentist regularly. The Children’s Health and Maintenance Program (CHAMP) will travel to Head Start and Women, Infants, Children centers throughout South Los Angeles, where Ostrow School faculty, students and staff will screen children up to the age of 5 for dental problems, administer preventive fluoride treatments and provide families with oral health education. In addition, to help families find a trusted “dental home” where children can receive regular dental care, the CHAMP team will provide referrals to Ostrow School clinics and community dental clinics, and train community dental providers on how to care for children age 5 and under. USC School of Social Work students will also provide follow-up assistance to families, helping them understand and access dental care benefits and overcome other barriers to getting routine dental care. During the first year, the program hopes to screen more than 2,000 children and help more than 800 families find regular dental care, Mulligan said. INDIANAPOLIS – The Indiana Attorney General’s Office filed an administrative complaint today against Allcare Dental & Dentures President Robert Bates for multiple licensing violations. In January of 2011, Allcare Dental & Dentures – a national chain of dentist offices – abruptly closed its locations including those in Indianapolis, Avon, Muncie, Fort Wayne, Mishawaka and Evansville. According to the complaint filed before the Indiana State Board of Dentistry, Bates gave a two-day notice to his Indiana employees that offices would close for two weeks beginning Dec. 18, 2010. Days before the offices were set to reopen, Bates notified his workers that the offices would be permanently closed. Violations noted in the complaint include failure to reimburse patients who paid upfront for services that were not completed, not completing dental procedures in progress and failure to provide dentures that were already fabricated. The Board of Dentistry is unable to provide restitution to customers under Indiana law; however, Zoeller said consumer restitution is being sought separately by his office through bankruptcy proceedings. Bates’ failure to notify patients of the closing violates state law which requires dentists to notify all their active patients in writing or by publication once a week for three consecutive weeks in the newspaper. Although employees were told to make arrangements with other doctors to transfer patient records, dentists were locked out of their offices and unable to do so, according to the complaint. Dentists are required to make reasonable arrangements with active patients to transfer records to them or the succeeding practitioner. Once upon a time – a dentist opened up an office and provided patient care. Satisfied patients referred their friends and families and his (or her) business grew. These dental practices (like mine) answer only to their patients. A private practice is owned by the provider of care. While private practices can be of varying sizes the practice is owned by a dentist and that dentist is responsible for the care of his or her patients. In the United States today, there are a number of new, large corporate dental chains and franchises offering lower fees and quicker appointments than private practitioners. Recently, one of these companies was the focus of the PBS television program “Frontline.” I believe patients should know when their dentist answers to a corporate boss who dictates how much they need to bill out in a day — despite the fact that in all but four states, including Pennsylvania, it is illegal for a non-dentist to own a dental practice. The Frontline report “Dollars and Dentists” should be a wake-up call as to the unscrupulous tactics used by some corporate dental chains to separate patients from their money. These companies get around the ownership issue by claiming that they offer business management and marketing solution to dentists, and don’t own the practice. The companies own the building, hire the staff, determine pricing and sales goals and can, in essence, fire the dentist if they don’t make the numbers, so it’s up to you to decide who actually “owns” what. Enjoy your afternoon and stay cool! Thanks for clearing up the question way too many state dental boards and attorneys general have about the legality of corporate owned offices. They are ILLEGAL. End of story.